We need to catch up with a number of Modern Masters preview today. 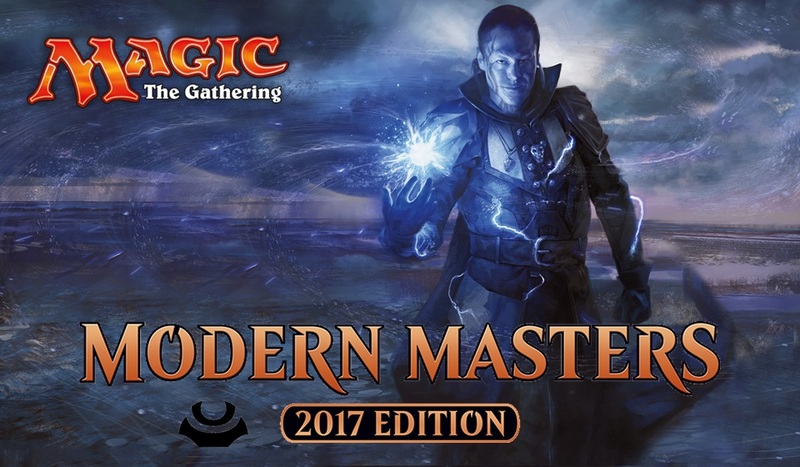 Releasing on 17th March, 2017, Modern Masters 2017 is to deliver a truckload of Magic: the Gathering goodness designed for the limited environment. 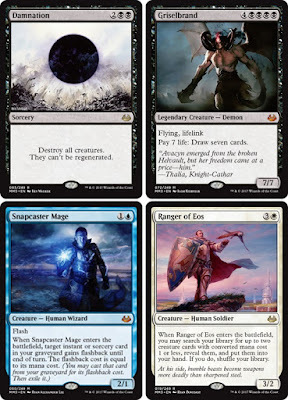 Reprints from Eighth Edition through Magic 2014–including trips through Innistrad and Return to Ravnica promises to deliver some nostalgia to game with in a new, unique environment. This latest set in the Modern Masters series are available in booster packs only, consisting of fifteen randomly inserted game cards, including one premium card in every pack. 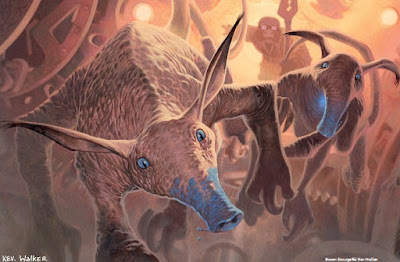 The Official card image gallery on the Wizards of the Coast website may be found at this link. Here is the full list of Modern Masters 2017 previewed yet so far. Once more, we play our dangerous game, a game of Magic: the Gathering against our old adversary - The standard constructed metagame. We will be heading to our local gaming store, OMG! Games, here in Barrie, Ontario with a new weapon sleeved up for tomorrow's Friday NIght Magic event. If you've been reading MTG Realm for any length of time, then you may know that we do love the primal strategy of creatures turning sideways in the red zone. Whether it is the achetype of white-weenies, or cheap tokens with a pump spells. Today's post is the latter. There is an opportunity here for the budget MTG gamer to get a 'foot in the door' as the expression goes for an opportunity to win some games at FNM with a decklist costing well under $100. Play a number of spells to create 1/1 colourless artifact Servos creatures and pump their base power / toughness. The mana-base is pretty straight forward - 16 Plains and 3 copies of Ruins of Oran-Rief to sneak an extra +1/+1 counter on (one) colourless creature which entered the battlefield that turn. Two copies of Westvale Abbey is placed in the mix as we do expect to create a healthy number of token creatures which may be sacrificed to create the flip sided Ormendahl, Profane Prince. 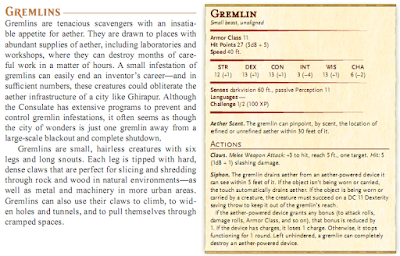 A 9/7 demon with flying, lifelink, indestructible and haste seems like a solid plan 'B'. Always pack a parachute. Ornithopter is a shoe-in - a 0/2 artifact creature for zero (0!) mana which will get pumped up with other spells we'll yatter about soon. As for Hope of Ghirapur, we already had these and for similar reasons for Ornithopter, not a bad choice. The ability to sac this thopter to stymie your opponent's hopes to cast non-creature spells until your next turn seems good. Metallic Mimic will, in almost all cases get cast while naming Servos so that you can then start piling on those +1/+1 counters on your Servo army. Chief of the Foundry lends it self naturally as an 'Artifact Lord' to pump up those Servos and Thopters alike. The same holds true for Master Trinketeer, which also provieds a handy 'mana sink', later game to generate more Servo tokens. Built to Last may seem to most players not the best choice but we think it is well suited in our local game. 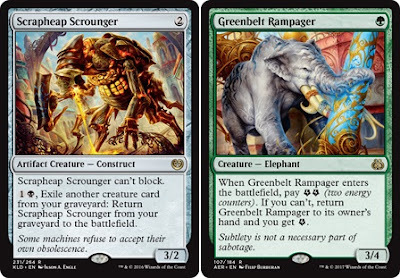 A one-drop for a +2/+2 instant pump and make the creature (if it is an artifact) indestructible is good, but may be side-boarded out for Stasis Snare likely for the second game. Servo Exhibition is great value generting two 1/1 Servos for two mana. Collective Effort gives a multi-tool to pump creatures, kill an enchantment or an opponent's creature with power 4 or more. Sram's Expertise just shines in this build - 4 mana for 3 Servos is sweet, especially so as this sorcery will also in most cases allow you to play a free card from your hand (with converted mana cost 3 or less). Cogworker's Puzzleknot is really essentially in this build. 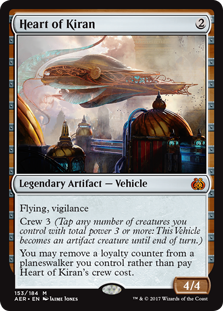 We were not sold on this at first given that it basically costs 4 mana to produce only 2 Servos - but- after a good deal of playing, we really need those exra Servos. Being able to hold back two mana to produce a surprise chump blocker at instant speed is also very good tech. At one point we did have a full deckset of Animation Module in an attempt to 'push' the combo of Animation Module and Metallic Mimic (produces a cycle of Servos as long as you have the mana for it). After a number of games, the shiny just kinda wore off as the Module was a dead card on the Battlefield waiting for the Mimic to come down. This past weekend in New York City, the annual American International Toy Fair took place at the Jacob Javits Convention Centre. 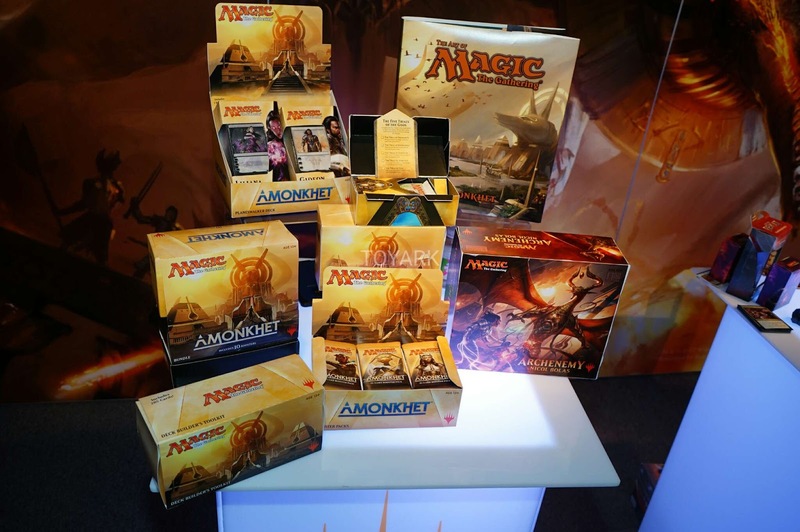 Hasbro showcased a number of new products including a peak of upcoming Magic: the Gathering products, which was summamrised yesterday by WotC Blake over here. We have product packaging images for the Amonket set including Booster Packs, Bundles, Planeswalker Decks, Deck Builder’s Toolkit, as well as PreRelease Packs. The news here is that we now know that the Planeswalker Decks of Amonkhet are to feature versions of Gideon and Liliana. The other big news is Amonkhet full-art basic lands. There are opportunities to collect these either as part of in-store promotions or through booster packs. WotC indicates a distribution of approximately one out of every four boosters will produce a full-art land. 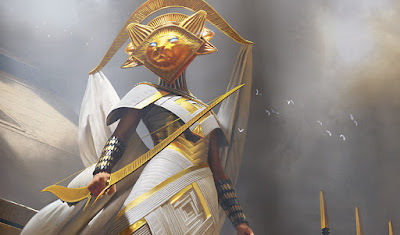 In Blake's Amonkhet reveal article, we are treated to images of Gideon, Liliana, and Nissa. These illustrations are readily identifiable as members of our Gatewatch Planeswalker crew. What is new here is the next five pieces of art, which is in all liklihood, our five gods of Amonkhet. Each of these five illustrations are therianthropic, in that we have an animal head on a humanoid body, which was a rather traditional form for dieties to take back in the day. 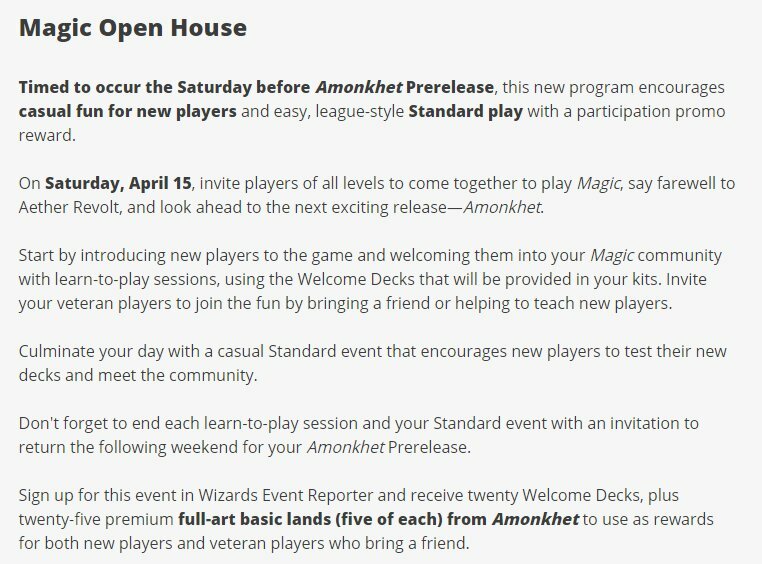 Amonkhet - save the date ! Today's post to MTG Realm is not quite focused on Magic: the Gathering but certainly does touch upon it. If you enjoy playing games other than MTG (yes, these do exist), and do enjoy the fantasy tabletop role-playing game Dungeons & Dragons (D&D), then you would likely be very pleased to hear that James Wyatt at Wizards of the Coast has the very next installment of Plane Shift, a Magic: The Gathering theme for which to supplement your D&D campaign. 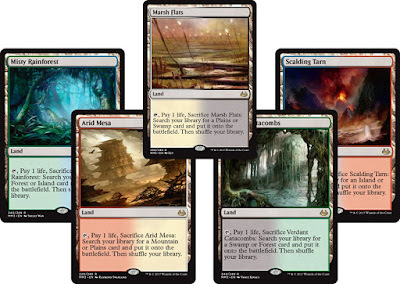 • Plane Shift Zendikar - A tumultuous plane of wild mana, unstable weather, and floating terrain. • Plane Shift Innistrad - A world where humanity is terrorized by vampires, werewolves, zombies, and ghouls. The world of Kaladesh promises to provide background for a campaign full of opportunity. 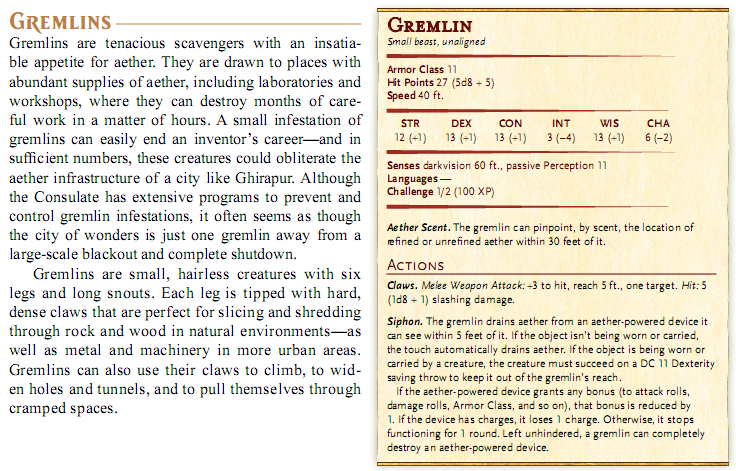 Whether your group of adventurers become entangled in the civil strife (Rebels and Consulate), or being chased by aether-hungry gremlins (should not have picked that pack up), this supplement provides a wonderful palette to paint a unique and enjoyable adventure. If you are not a D&D gamer, but perhaps does enjoy learning the background / storyline of Magic: the Gathering (Vorthos!) Planes of Existence, we would still encourage you to read this very excellent presentation of the environment of these Planes. 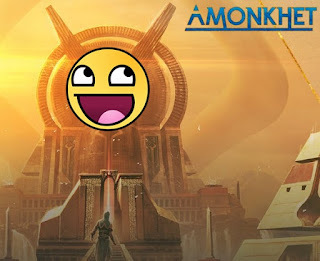 Speaking of Valentine's Day and Magic: the Gathering, we were wondering this morning (random shower thoughts) on whether a simliar day is observed on Amonkhet. This, the very next MTG set, may be a Plane of existence created by Nicol Bolas and perhaps peopled by Lich Lords. Having their life force downloaded into a phylactery, we're thinking that although their mortality is greatly extended, their capacity to love another zombie or lich is greatly diminished. Kinda sad. Anywhoos, end of shower thoughts, please disregard. One thing we do love and are quite willing to send a flurry of Valentine's Day cards off to Wizards of the Coast, is the chance to get our paws on promotional Amonkhet full art lands. 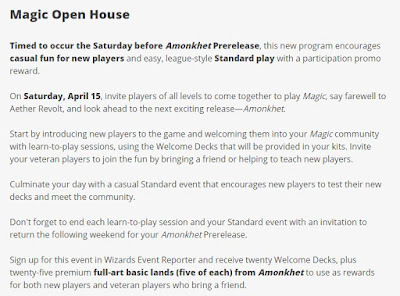 Sign up for this event in Wizards Event Reporter and receive twenty Welcome Decks, plus twenty-five premium full-art basic lands (five of each) from Amonkhet to use as rewards for both new players and veteran players who bring a friend. 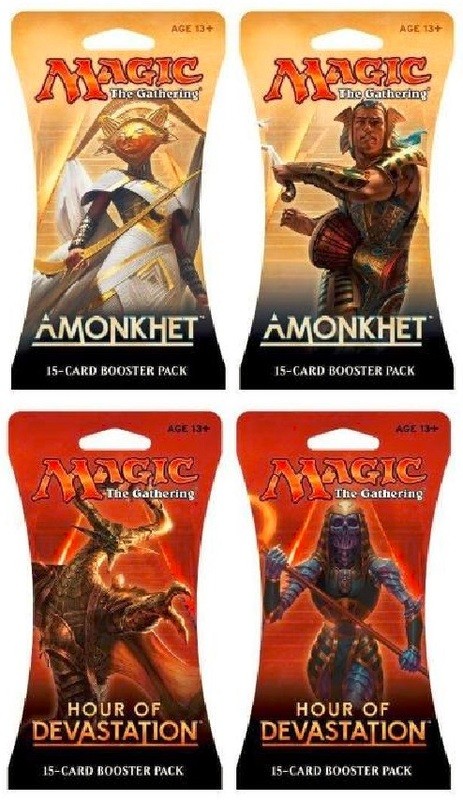 Lastly, we want to return to those booster pack mock-up images from this post to MTG Realm on Tumblr which was posted back in December. The exercise here is to determine the probability of successfully exchanging Valentine's Day cards with each of these creatures. Humanoid in a cat mask with what appears to be a bow - YES - could be similar to the cupid's arrow thingy. Humanoid with a drum and edged weapon - YES - playing a tune on the goblet drum while cutting fresh flowers for Valentines. Nicol Bolas - perhaps NO - does not strike a very romantic figure in the least. Zombie dude - NO - being undead does imply the creature is without a beating heart, and although the critter may want to nom your brains, it will not show a genuine appreciation for this delicious gift. It also is Thirsty Thursday, so why not head on down to Modean's latter for an ice cold Puppers. Anywhoos, today on MTG Realm, we have another variety show of mad non-sensical Magic: the Gathering ramblings, so strap yerself in for a bumpy ride. These things look amazing. Our local gaming store, OMG! Games here in Barrie, Ontario has these cases on the shelves and we think we'll treat ourselves to one of these rugged cases for when we head off to our regular summer vacation in the Canadian wilderness. We know these re-purposed .30 calibre ammunition cases are air tight, but we may also discover whether these are bear proof as well. Set some time aside this weekend to get in some standard constructed play at your local gaming store and get a chances to win fabulous prizes (game day playmat, promo cards). If you have not yet tucked into standard, you can always pick up a Planeswalker Deck the day of the event and give that a spin. The top of the heap is Scrapheap Scrounger, which delivers a 3/2 for just 2 colourless. The drawback is that is cannot block, but hey - a perfect level of power to crew Heart of Kiran. Scrapheap enjoys a graveyard recursion clause and for these reasons is the perfect crew critter. We pre-ordered a deckset of these for $1.75 and now they are going for about $6. The more we think upon this, the less certain we are as to what to expect from the storyline and supporting themes / spell mechanics. 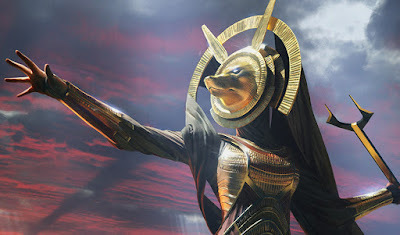 What we are imagining is the tale of 'Masaka and Korgano' ('Masks', ST/TNG), and the 1994 film Stargate, where the god Ra is actually an alien, or in this case, Nicol Bolas. There seems to be some mysterious cycle at play here. Dang. We need Wizards of the Coast to throw us a small bone to tie us over for the next two months. While a large number of North Americans this weekend were watching Super Bowl, hard-core Magic: the Gathering players were watching tournament coverage at Pro Tour Aether Revolt behing held in Dublin. Previous large tournaments held in Columbus, then Richmond showed favour for Saheeli Rai / Feldiar Guardian (aka 'copy cat') decklists and then Black-Green Delirium / Aggro featuring Winding Constrictor and friends. The winner of Pro Tour Aether Revolt in Dublin was Luis Esper Berthoud who was playing the very popular Mardu Vehicles deck. 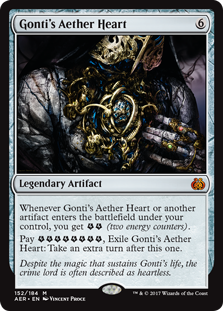 The core of the deck included Heart of Kiran, Toolcraft Exemplar, Scrapheap Scrounger, Thraben Inspector, Veteran Motorist, and Gideon, Ally of Zendikar. The light splash of Black was usually for Scrapheap Scrounger, Unlicensed Disintegration, and Fatal Push. 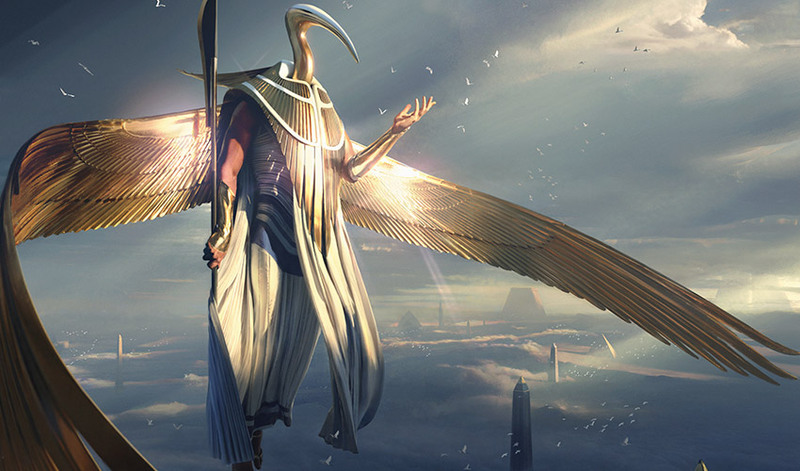 Pop of over to the Wizards of the Coast page here for the Top 8 decklists, or alternatively over here for the other players with at least 9 wins for Pro Tour Aether Revolt. As always, SaffronOlive at MTG Goldfish has an excellent write-up of this past weekend's tournament right over here. Of the Top 8 decks, there were 6 Mardu Vehicles, 1 Jund Engery Aggro and 1 B/G Delirium. Of these top decklists, there was a total of 26 Heart of Kiran being played. The 'go-to' creature spell to crew Hearth of Kiran was Scrapheap Scrounger, as it has the benefit of recursion from the graveyard. Even the lone Jund Energy Aggro list had 3 copies of Heart of Kiran, using a spicy tech in the form of Greenbelt Rampager on the stack to crew the vehicle. Thankfully, the Pro Tour is not largely indicative of the metagame at the local gaming store (at least in my neighbourhood). At our gaming store, OMG! Games, here in Barrie, Ontario, inovation and the spirit of invention is still king. Instead of concentrating on what should be in your 15-card sideboard for the anticipated mirror-match against another Mardu Vehicles decklist, there is a variety of different decklists. 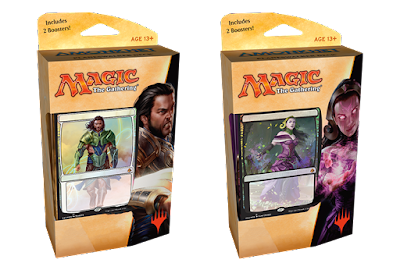 Perhaps a good thing too, as dishing out for a playset of Heart of Kiran may set you back around $110, which in our opinion is certainly prohibitive for new (or returning) Magic: the Gathering players interested in getting into the game. More specifically, Happy Groundhog Day. The American Sciuridae, Punxsatawney Phil predicts six more weeks of winter weather but our very own Wiraton Willie (right here in Ontario, Canzda) is predicting an early spring. Whatever you may think of rodents prognosticating meterological events, you should still be watching the eternal classic, Groundhog Day (1993) starring Bill Murray and Andie McDowell. 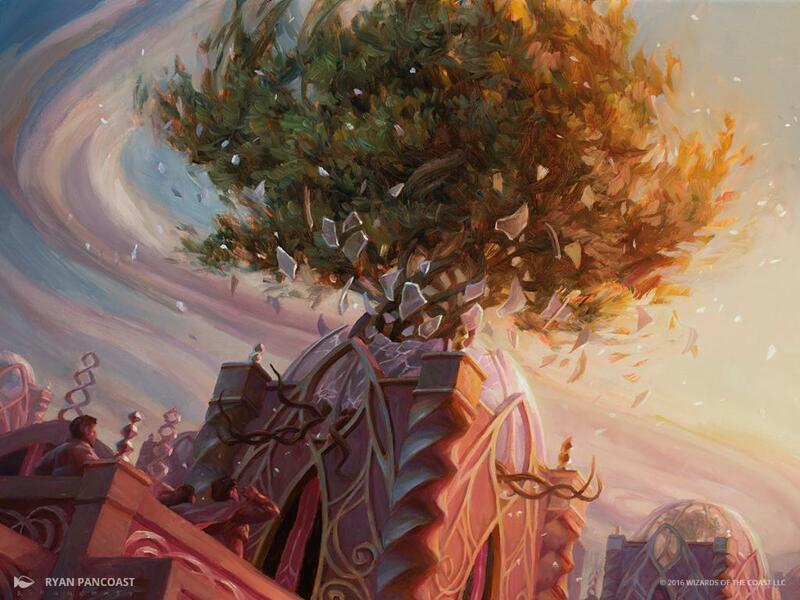 You may also wish to expand upon the repeatable effect the Groundhog Day movie (or other time-loop movies like Edge of Tomorrow), we suggest you hit the drawing board tonight to construct a decklist with Aether Revolt's 'Gonti's Aether Heart' to take to tomorrow's Friday Night Magic event to take an extra turn during a Magic: the Gathering game and mimicing the Groundhog Day movie. Our standard constructed weapon of choice won't be this but we will be rocking our updated R/W Humans list. Yesterday's Magic Story, titled 'Renewal' wraps up the Aether Revolt story. 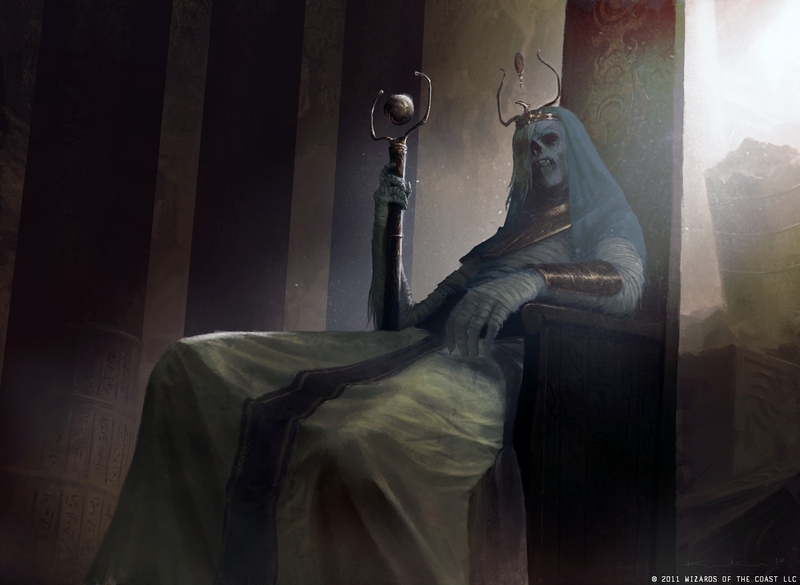 Tezzeret has been defeated and fled, the denizens of Ghirapur and Kaladesh at at large are returned to a more peaceful and collabrative state. The Planeswalkers of the 'Gatewatch', now plan their next move against Tezzeret and his master, the Elder Dragon Nicol Bolas. 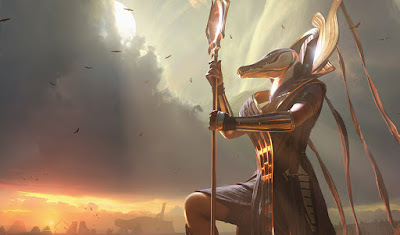 It appears that the next confrontation is to be on the Plane of Amonkhet, the very next set. 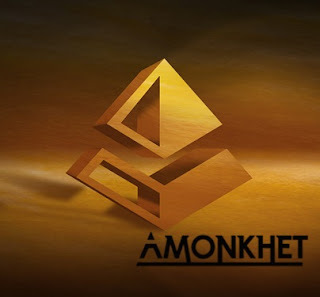 In fact the name Amonket is mentioned about eight times during the Renewal story. We learn from Wizards of the Coast that the Amonkhet Magic Story will be kicking off around March 29th, with the regular Magic story offering being supplanted by podcast interviews with members from the Wizard's Magic Worldbuilding Team. Definitely looking forward to that. Next up, you suggest you check out Gathering Magic's Aether Revolt Art Review by Mike Linnemann. His keen and discerning eye catches all the beautiful minutae in the Aether Revolt illustrations. Lastly, we want to yatter about our Red / Green Energy decklist we've run previously. This deck generates a solid volume of energy to power out a swing for lethal damage by Electrostatic Pummeler. The foundation of this build is mostly within Kaladesh, but Aether Revolt had also offered up a few interesting pieces to consider for inclusion. Specifically, a green coloured one-drop creature in the form of Greenbelt Rampager as well as a versatile two-drop red instant Invigorated Rampage. We consider our latest build rather powerful but not quite predictable as we should like it, so it has stayed away from Friday Night Magic and is played at our Kitchen table. The new post Aether Revolt standard environment also contains a number of popular decklists running Fatal Push, Shock, and Walking Ballista all threatening to shut down Electrostatic Pummler before it gets off the beachhead. This build may still be viable however given the very decent result in last weekend's StarCityGames classic. Andrew Jessup placed Top 16 with this G/R Energy list. 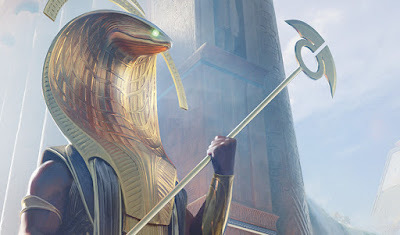 If this standard decklist seems to you a refreshing break from the top two dominant lists of G/B Aggro / Delirium (to see who gets the Snek out first) and the Saheeli-Cat combo, then we suggest you pop on over to this Reddit thread and join in the discussion.